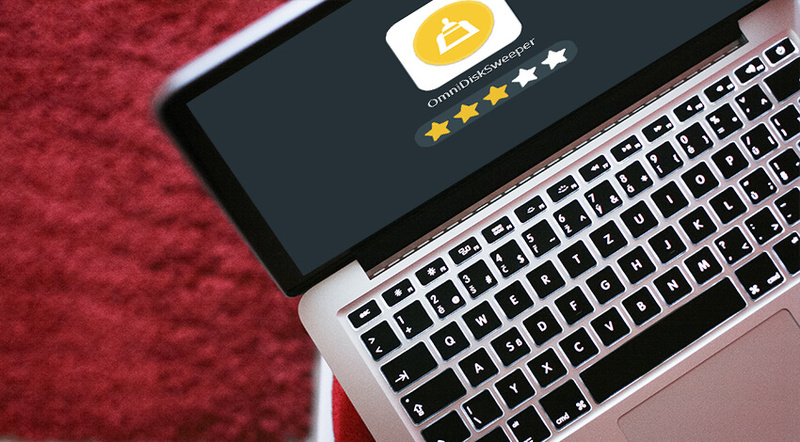 OmniDiskSweeper Review: Sweep Your Mac’s System to Refresh It! Do you believe that your brand new Mac is powerful enough to handle any volumes of stored files and work quickly even when being filled? It is the matter of time to see the dreaded “Startup disk almost full” notification. Even the most experienced Apple users cannot overcome this situation on their own. The case frequently results in a frantic dash around the Downloads folder. It happens because the users start trashing just everything to wipe the disk space. After all, they wish to view new videos, play the latest games, and edit the most recent images from their cameras. Having no space means having no fun. Moreover, the filled disk slows down the computer’s performance. These reasons are good enough to starts searching for the good solution. Advanced users may use various native utilities like Terminal or even Command Line to get rid of the junk. 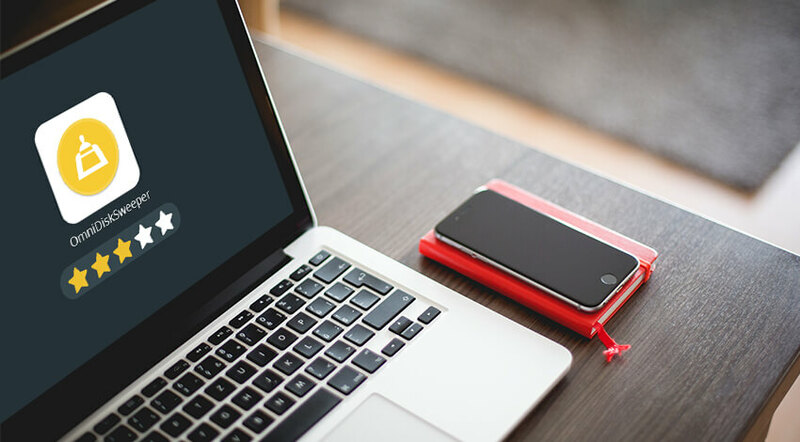 However, it takes both time and knowledge of how to do things on Mac manually. What Omni developers offer is a great third-party software called OmniDiskSweeper. Mac owners often do not know what to choose as many external developers place their free or cheap cleaning apps on the market. Hopefully, this OmniDiskSweeper review will help to make your decision. Is OmniDiskSweeper Safe to Install on My Mac? No matter how good the feedback is, the users always wonder whether it is secure enough to use any third-party application. Unless you find it in the sources different from the App Store or some official developers’ websites, it may be. Luckily, it is definitely not the case of OmniDiskSweeper. The tool itself is completely safe. At the same time, a lot depends on how well you know your files and whether you allowed some dangerous files to be stored on your computer. Go to Disk space / Time Machine / Local Snapshots – > Local backups. Where Can I Safely Download OmniDiskSweeper for Mac? If you are ready to trust your operating system to this Sweeper, it is time to get it. Plus, it might be necessary to check whether you have enough space for at least a cleaning app as most users turn to such software only once the hard drive is overloaded. Set up the software quickly by obeying simple instructions. Softonic offers the most secure download of OmniDiskSweeper. Right, you just come and get the application as it is free. The developer claims the software was thoroughly tested for any threats, and it comes across as a virus-free one. A fast, free download is available at any time, but try to get the installation file from the credible sources. OmniDiskSweeper belongs to the category of disk space analyzing and wiping software, easy and fast. It knows what to do when the hard drive gets fed up with multiple huge files and duplicates. Have you ever used the Finder in Column view? The thing is OmniDiskSweeper’s interface reminds of this view. It is simple and clear. Thanks to these qualities, the user will see the items that ‘overpopulate’ poor Mac very soon. The smart tool works in a way to detect files according to the system hierarchy. In other words, the Mac owner will view the useless or suspicious items in descending order by volume or format, depending on the user’s preferences. This way, you will find out what exactly is eating so much space and decide whether you wish to remove it once and forever. The app will remove the junk for you! So far, OmniDiskSweeper is a secure, quick, and free tool for macOS. It displays all the items you have on a hard disk as well as external drives sorted by size (from the biggest to the smallest). It assists in getting rid of the offending files and folders. Wait until the app is scanning the chosen location for all types of junk: from duplicates of images and videos to temporary files, startup/login items, and system caches. Let this great third-party cleaner release some space on your favorite Mac to boost the performance of your system!